If you are looking to see what is currently available for sale in the Tallahassee home sales market, then you have come to the right place. Not only will you be able to view all of the homes for sale in Tallahassee, you can also view a quick Tallahassee Home Sales Report which will help guide your property search and keep you from making a big mistake when you buy a home in Tallahassee. There are so many good buys in the Tallahassee housing market today, but that does not mean that everything is a good deal! By studying what has happened in the recent past with Tallahassee home sales, you can be prepared to recognize a great deal from one that is merely a nice house, but not priced as a great opportunity. I have not seen any REALTOR reports showing that Tallahassee home sales are currently selling at the slowest rate in more than 20 years, but our real estate graph below shows this to be the case. Two separate data sources were used to create this graph. The dark green area shows all Tallahassee home sales recorded by the Leon County Property Appraiser, while the light green area shows all home sales in the Tallahassee MLS. The graph is clear; homebuyer activity is at the lowest level for more than 20 years. As I do not have data going back prior to 1991, and can only use reverse population reports to conclude that sales levels are at the lowest raw levels since the 1950s, and most likely at the lowest relative levels of all time. Currently, fewer than 8 Tallahassee home sales close each day, bringing the 10 year daily average down to 15.4. 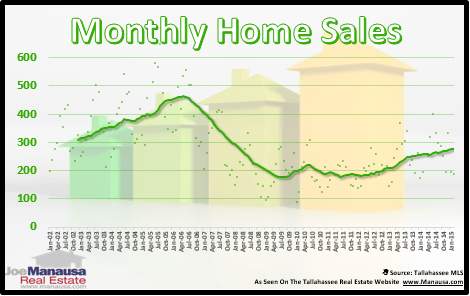 This means that Tallahassee home sales (today) are closing at one half the rate that we have seen over the past ten years! 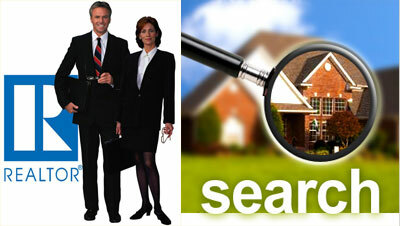 If you are planning to buy a home in Tallahassee, you will be pleasantly surprised. This means that if you are a qualified homebuyer in the Tallahassee home sales market, you are the proverbial King of the Jungle! So what should you do? If you put all of these tips into your plan, you will end up getting a great buy in your local housing market. While you know we can help you with Tallahassee home sales, you can also simply drop me a note and I can refer you to the best real estate team in any other real estate market as well.